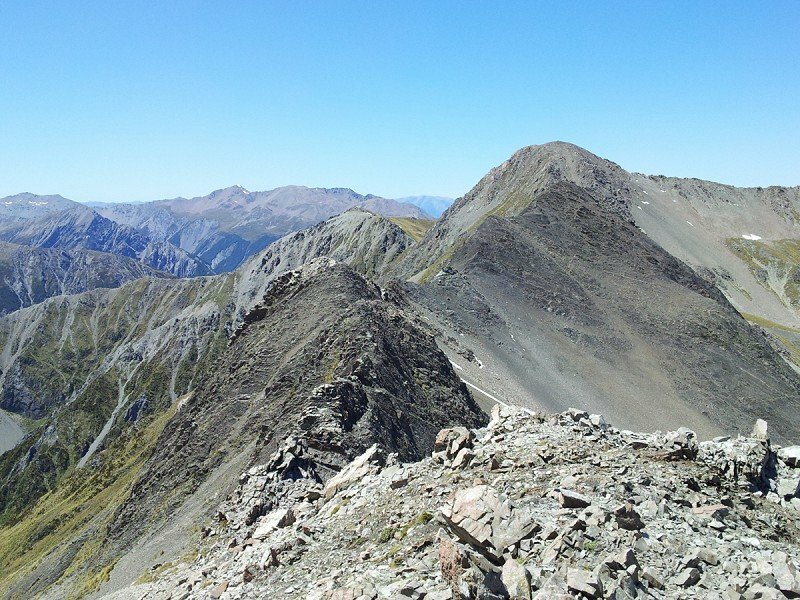 The Traverses in Arthur's Pass National Park are for experienced walkers only! In most cases travel is on an un-marked route, the ridges may be narrow, loose, hold ice or snow, there is no water, and NO OPPORTUNITY to abort or turn back - in short they are committing! In their favour, they offer solitude, spectacular views and landscape, and a mental & physical challenge. It is generally un-wise to partake them alone, and certainly they shouldn't be undertaken in poor weather (especially wind and poor visibility). EQUIPMENT : Water, food, and when there's ice & snow about iceaxe and possibly crampons. The best way to do this is to ascend Scott's Track onto Avalanche Peak, follow the wide ridge to Lyell Peak, then keep to the back of the razor ridge that leads to Mt Bealey. The razor ridge would be the most dangerous part of the traverse, you are at times on a ridge no wider than 20cm, with 80 metre drops on both sides. Loose rock can cause problems, as can loose ice and snow on slabby rock. One should also be aware that the snow-slopes are prone to avalanche, and there is NO WAY off into the head of Rough Creek. Take the large scree slope immediately adjacent Low Peak to the east into Rough Creek. In winter avalanche risk is very high on this route, and in summer the top vertical 800 metres is good, followed by 200 metres that should be taken slowly into Rough Creek. Follow Rough Creek back into the Village, taking care to avoid waterfalls and slippery rocks. Ascend Con's Track from Arthur's Pass Village to the tree-line, from here follow the rocky ridge back until the bluffs are met. From here a indistinct trail goes true-right (north) under the bluffs slowly climbing above screes and tussock slopes. A gully is met after about 300m, this ascends steeply on loose rocks to pass between the bluffs to join the wide Mt Cassidy ridge above the cliff-lines. 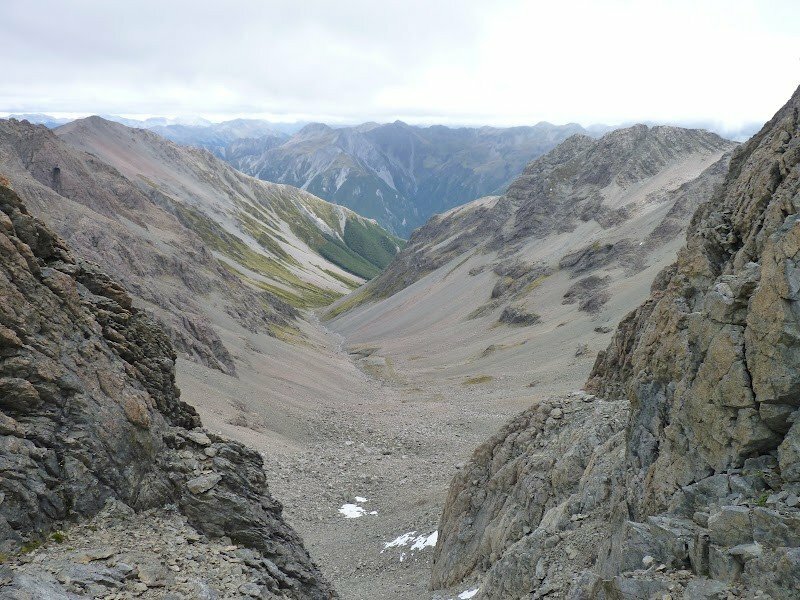 Being aware of loose boulders, and the massive drop into Punchbowl Creek, follow the ridge for a kilometre until a slope climbing a side spur confronts you. If it is snow covered - take care to put your fall-line away from the Punchbowl Valley (550m drop). 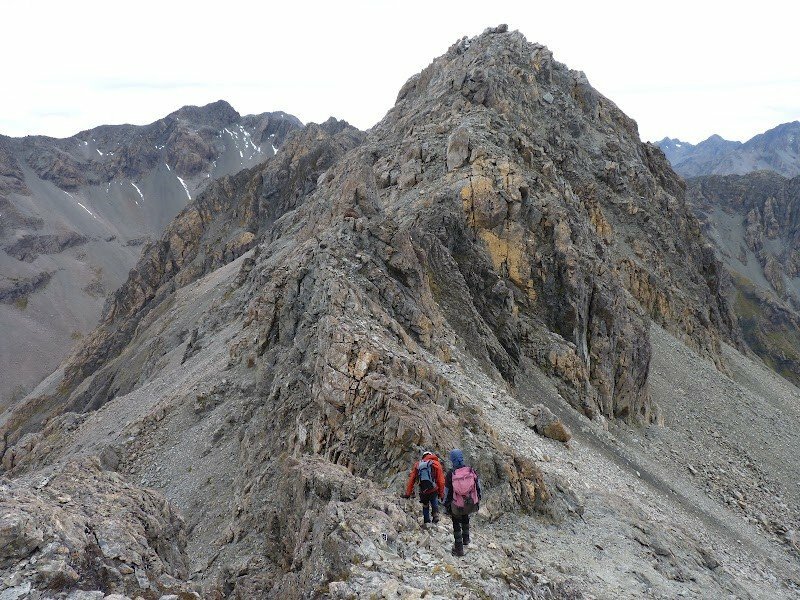 Joining the spur leads directly to Mt Cassidy summit. From the summit the ridge narrows and steepens as it descends to a saddle, then climbs over a buttress towards Mt Blimit. The second saddle at the foot of Mt Blimit will also be your descent route to Bill's basin tarns. Climbing Mt Blimit is not compulsory, however is very worthwhile for the views. Ascend the true-right side of the ridge, avoiding where possible the huge exposure into Punchbowl Creek. 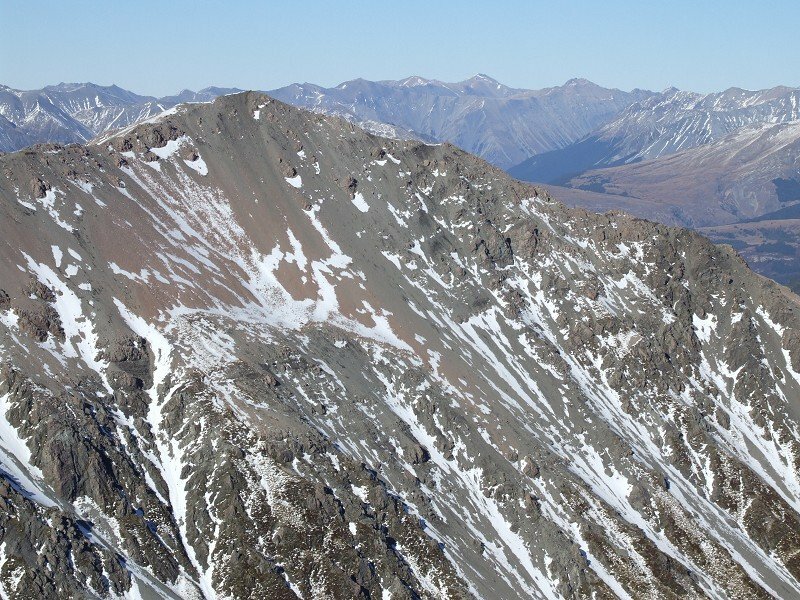 This ridge is loose, maybe corniced in winter / spring, and should not be followed beyond the summit of Mt Blimit. 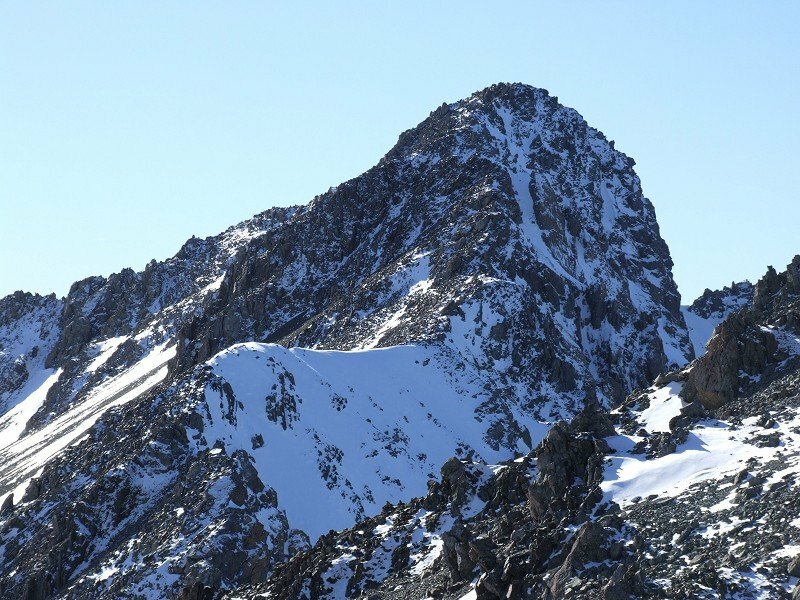 A traverse of the northern ridge to Temple Col is for experienced climbers only - not walkers! Descend the ridge back to the first saddle south. From here a scree slope descends directly to the large tarn in Bill's Basin. Skirt around the tarn heading northwest towards the western spur of Mt Blimit. Do not descend directly to Temple Basin Ski-field. Once the wide back of the spur is joined, follow it downwards until Page Shelter becomes visible on its northern escarpment. Several scree gullies descend towards the shelter, follow these, choosing to slowly traverse west as well towards the track that leads to Page Shelter from the main ski-field. Once the track is gained it is an easy descent to the ski-field, and then the Temple Basin track back to highway 73. Follow the highway, then the Bridle Veil trail into the Village. EQUIPMENT :Water, food, 10m handline, and when there's ice & snow about iceaxe and possibly crampons. THIS TRAVERSE IS FOR EXPERIENCED ALPINISTS ONLY! IT IS ALMOST A CLIMBING ROUTE! This traverse is not for the faint-hearted, winter, or in poor conditions. It is very committing, dangerous, and very rarely achieved. Ascend the Mt Aicken track, then route onto Mt Aicken. From here, the ridge narrows and becomes quite loose as it circles the Punchbowl Creek valley. There are many gendarmes, each having its own bypass technique, whether that be narrow cat-walks, scree gullies, or simply rock-climbing over them. Descent can be tricky on many, hence the handline and a partner comes in handy. As you near Mt Blimit the terrain steepens to a point where you are climbing on extremely steep slabs or rocks, with exciting exposure into Goat Pass and Punchbowl Creek. If your going to get un-stuck, this is where it will occur, and probably the worst circumstances for it. The steep ascent onto Mt Blimit changes every year in difficulty, loose rocks prevail. Once on Mt Blimit sigh a sigh of relief, then descend the southern ridge to its first saddle. From here a scree slope descends directly to the large tarn in Bill's Basin. Skirt around the tarn heading northwest towards the western spur of Mt Blimit. Do not descend directly to Temple Basin Ski-field. Once the wide back of the spur is joined, follow it downwards until Page Shelter becomes visible on its northern escarpment. Several scree gullies descend towards the shelter, follow these, choosing to slowly traverse west as well towards the track that leads to Page Shelter from the main ski-field. 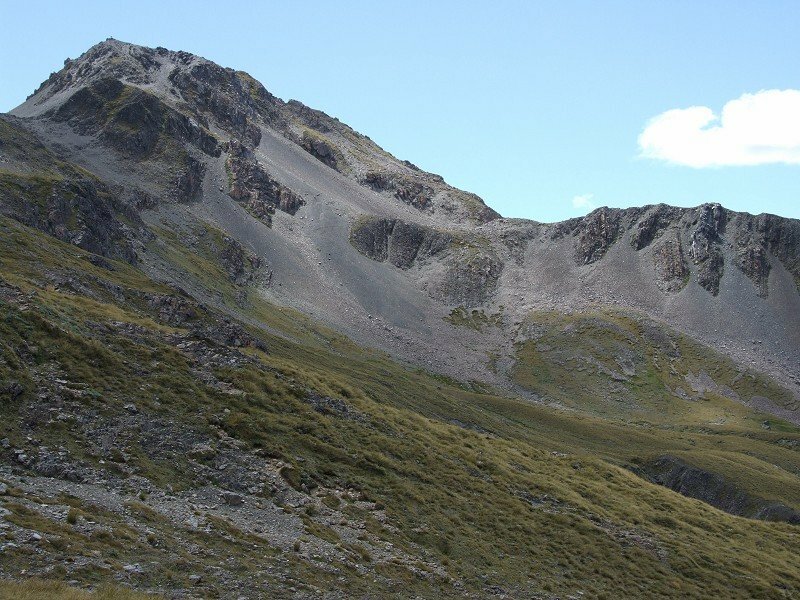 Once the track is gained it is an easy descent to the ski-field, and then the Temple Basin track back to highway 73. Follow the highway, then the Bridle Veil trail into the Village.